She is a visionary strategist for the digital age, a web and TV personality, a bestselling author, and the award-winning CEO of The Marketing Zen Group – a global marketing firm. She has aptly been dubbed the “Zen Master of Marketing” by Entrepreneur Magazine and the “Millennial Master of the Universe” by FastCompany.com. 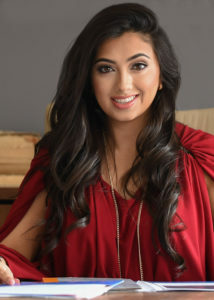 Shama has also been honored at both the White House and The United Nations as one of the top 100 young entrepreneurs in the country, and been listed as one of the top 30 under 30 movers and shakers by both Forbes and Inc magazines.